I bought these 4 years ago. I have only used them about 5 or 6 times. 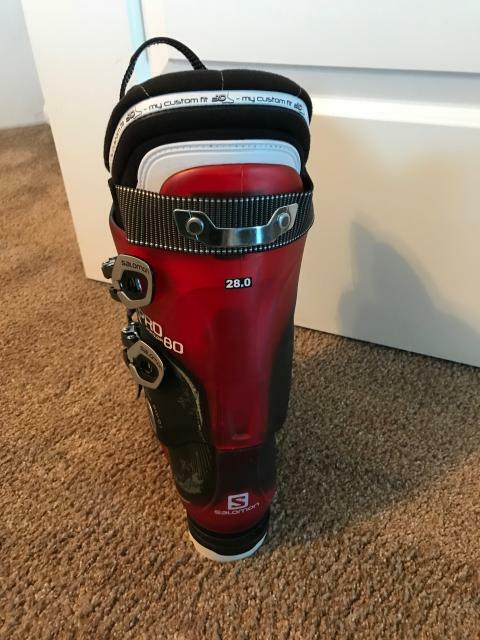 They are great boots but they are too small for me. 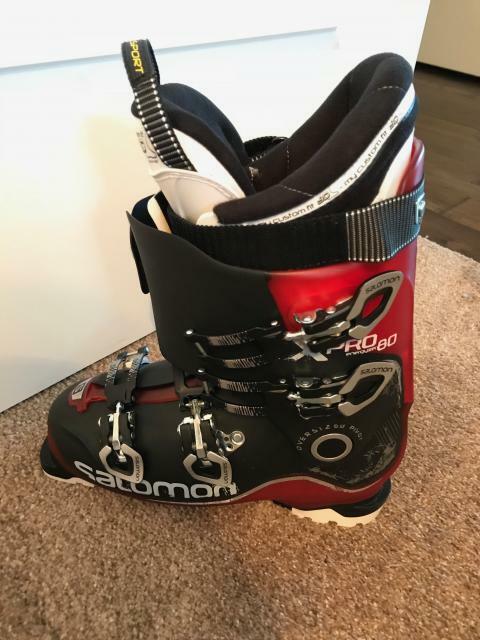 Also, I bought new skiis that are blue and yellow. Red boots do not match too well. 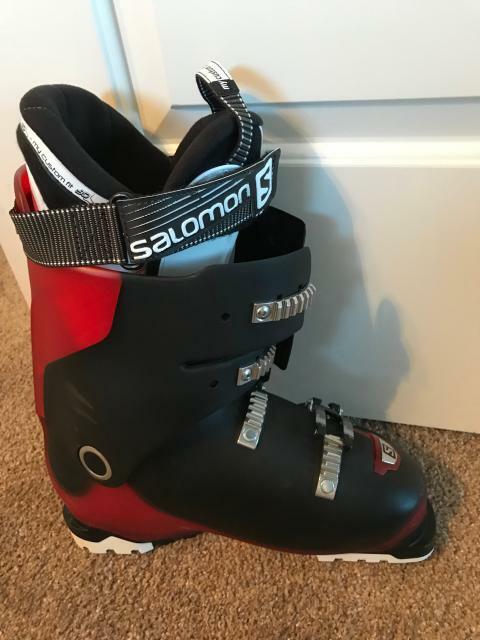 SOLOMON MISSION 10 ENERGIZER 90 SKI BOOTS, SIZE 30.0, EXCELLENT.